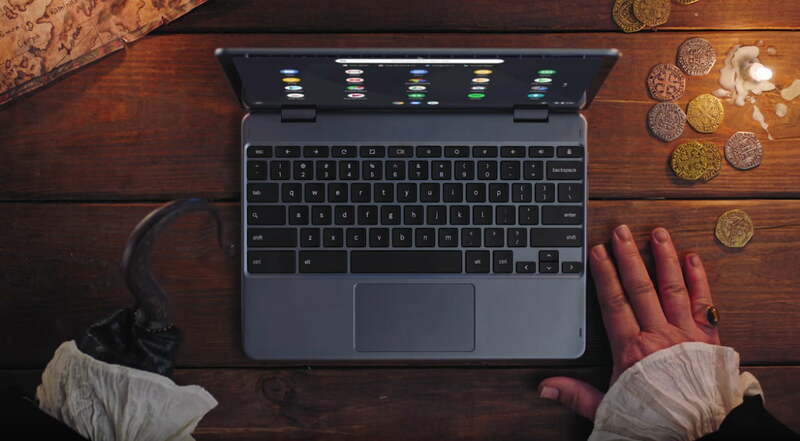 In recent months, Google ramped up marketing for Chrome OS with the tongue in cheek “You Chromebook” campaign aimed at users who were tired of the cumbersome headaches that accompany other operating systems. For the uninitiated, these may or may not have struck a nerve. If you’re already on the Chromebook bandwagon, they certainly brought about a good chuckle. Now that Chromebooks are gaining more traction in the consumer and enterprise markets, Google has released a YouTube playlist answering some of the most common questions asked by new users feeling their way around the ecosystem and yes, there is a Pirate. You can check out the official Chromebook YouTube channel for all 15 videos but here’s a look at the “how-to” for opening and editing photos on your Chromebook. A lot of these tutorials may seem remedial to many but I can promise you, we field these types of inquiries all the time here at Chrome Unboxed. It is very refreshing to see Google dedicating time and resources to cover the basics because honestly, that’s what most users are looking for when they get a new device. From taking screenshots to using cap locks and even using Gmail offline, these videos should serve as a great resource for the growing Chrome OS user base so make sure to give them a like and share them around. Note: I’m sure that some of you will notice so I will go ahead and say it. All of these videos feature the Samsung Chromebook Plus V2. I’m sure some will be quick to fan the flames around the rumors of Google exiting the Chrome OS hardware space but seriously, let’s just enjoy the well produced videos. We’ll dicuss this matter at another time.